Altruism is often self-serving. 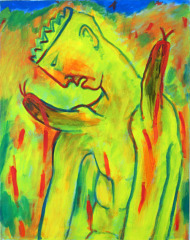 Also caring for one another is like caring for oneself – unless someone is egotistical. 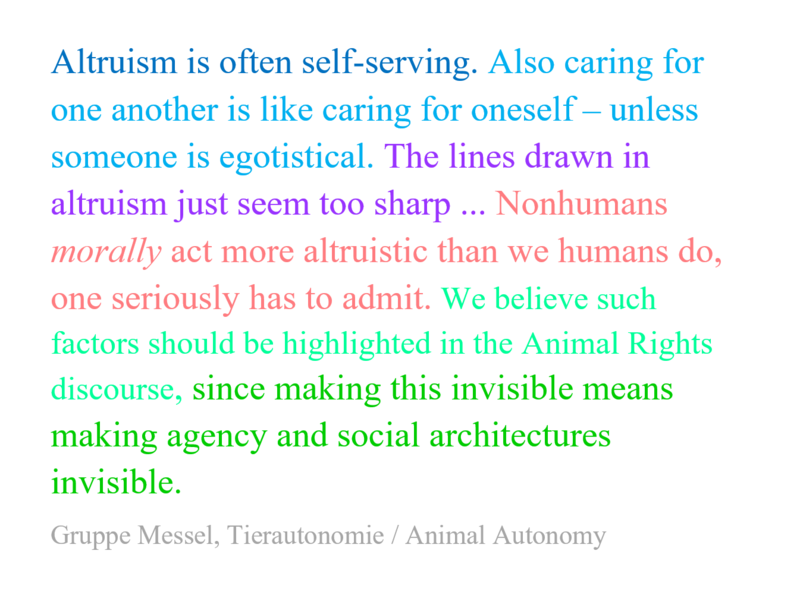 The lines drawn in altruism just seem too sharp … Nonhumans morally act more altruistic than we humans do, one seriously has to admit. We believe such factors should be highlighted in the Animal Rights discourse, since making this invisible means making agency and social architectures invisible. 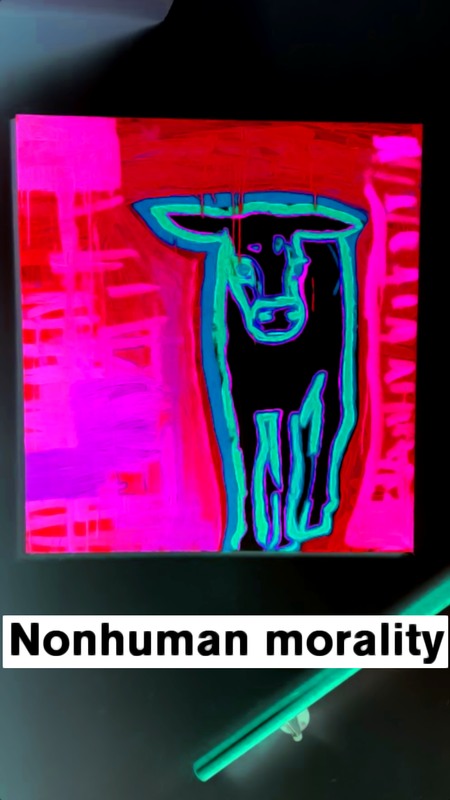 This entry was posted in Fragments on species-derogation, nonhuman rights and nonhuman cultures and tagged morality, thoughts. Bookmark the permalink.